Currey, Lloyd. Fantasy and Science Fiction Catalog 87. Elizabethtown. Self published. 1987. Octavo. Soft cover. First edition. Fine copy. Currey, Lloyd. Fantasy and Science Fiction Catalog 90, Part I. Elizabethtown. Self published. 1989. 415 pps. Octavo. Soft cover. First edition. Fine copy. Currey, Lloyd. Fantasy and Science Fiction Catalog 90, Part II. Elizabethtown. Self published. 1991. 415 pps. Octavo. Soft cover. First edition. Fine copy. Currey, Lloyd. Fantasy and Science Fiction Catalog 91. Elizabethtown. Self published. 1992. 415 pps. Octavo. Soft cover. First edition. Fine copy. Currey, Lloyd. Fantasy and Science Fiction Catalog 94. Elizabethtown. Self published. 1993. Octavo. Soft cover. First edition. Fine copy. Currey, Lloyd. Fantasy and Science Fiction Catalog 98. Elizabethtown. Self published. 1994. 387 pps. Octavo. Soft cover. First edition. Fine copy. Currey, Lloyd. Fantasy and Science Fiction Catalog 99. Elizabethtown. Self published. 1994. Octavo. Soft cover. First edition. Fine copy. Cussler, Clive. Inca Gold. New York. Simon & Schuster. 1994. 541 pps. Octavo. Hardcover. First edition. Fine copy in fine dust jacket (in mylar). Daiches, David (ed). The Avenel Companion to English & American Literature. Volume One Britain and the Commonwealth and Volume Two. United States of America. New York. Avenel. 1981. Octavo. Decorated hard cover. Fine copy. Dalby, Richard (Ed). Vampire Stories. London. Michael O'Mara. 1992. 247 pps. Octavo. Hardcover. First edition. Fine copy in near fine dust jacket (in mylar). Dana, Richard Henry & Rod Scher. The Annotated Two Years Before the Mast. Photo available. London. Sheridan House. 2013. 395 pps. Octavo. Decorated hard cover. First edition. Important reference work. Fine copy. Dana, Richard Henry. Two Years Before The Mast. A Personal Narrative of Life at Sea. New York. Bantam. 1963. Octavo. Soft cover. Reprint. Fine copy. Dardis, Tom. Firebrand. The Life of Horace Liveright. New York. Random House. 1995. 394 pps. Octavo. Hardcover. First edition. Illustrated. Fine copy in near fine (small piece missing on bottom corner) dust jacket (in mylar). Darrell, Margery (ed). Once Upon A Time. The Fairy Tale World of Arthur Rackham. Photo available. New York. Viking Press. 1972. Octavo. Hardcover. First edition. Illustrated in black, white and color. Important reference work. Fine copy in near fine (very light shelf wear) dust jacket (in mylar). Davies, Robertson. The Enthusiasm of Robertson Davies. New York. Viking Press. 1990. Octavo. Hardcover. First edition. Fine copy (remainder mark on bottom edge) in fine dust jacket (in mylar). Davies, Robertson. The Merry Heart and Happy Alchemy. Toronto. Douglas Gibson Book. 1997. Octavo. Gilt decorated hardcover. First edition thus. Two volumes. Fine copies in fine slip case. Davis, Carlyle Channing. The True Story of "Ramona". Its Facts and Fictions, Inspiration and Purpose. Photo available. New York. Dodge Publishing. 1914. 265 pps. Octavo. Decorated hard cover. First edition. Illustrated. Important reference work. Near fine copy (spine lettering faded). Davis, Richard Harding. Once Upon a Time. Photo available. New York. Charles Scribners & Sons. 1910. 280 pps. Octavo. Decorated hardcover. First edition. Illustrated. Near fine copy. Lettering lightly worn on spine and cover. Day, Clarence. 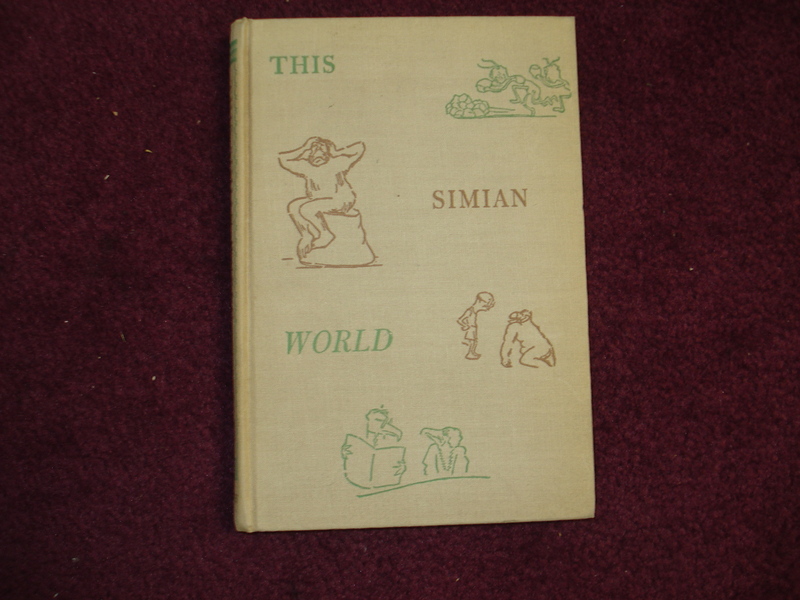 This Simian World. Photo available. New York. Alfred A. Knopf. 1936. Octavo. Hard cover. First edition. Illustrated. Near fine copy (very light shelf wear). 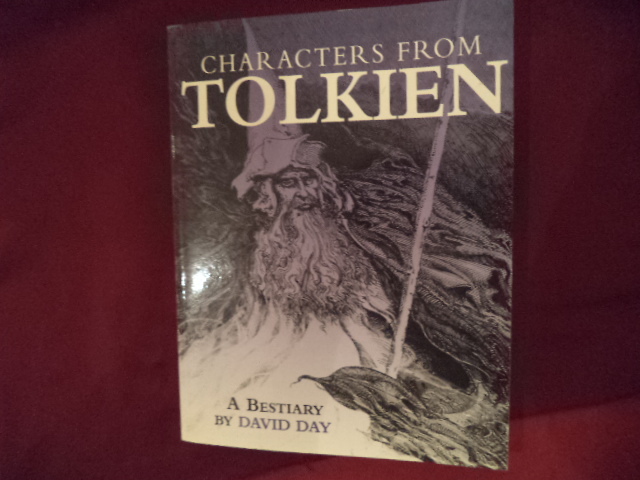 Day, David A Tolkien Bestiary. Photo available. London. Chancellor. 2001.. 187 pps. 4to. Soft cover. First edition thus. Illustrated in black, white and color. Important reference work. Fine copy.